As we continue to explore peace through texts, websites, photos, days of significance and our daily interactions, we are keeping track of how we can create peace. Our goal is 100 different ways – so far we are at 37. Students are invited to add to the chart anytime they have a new idea. 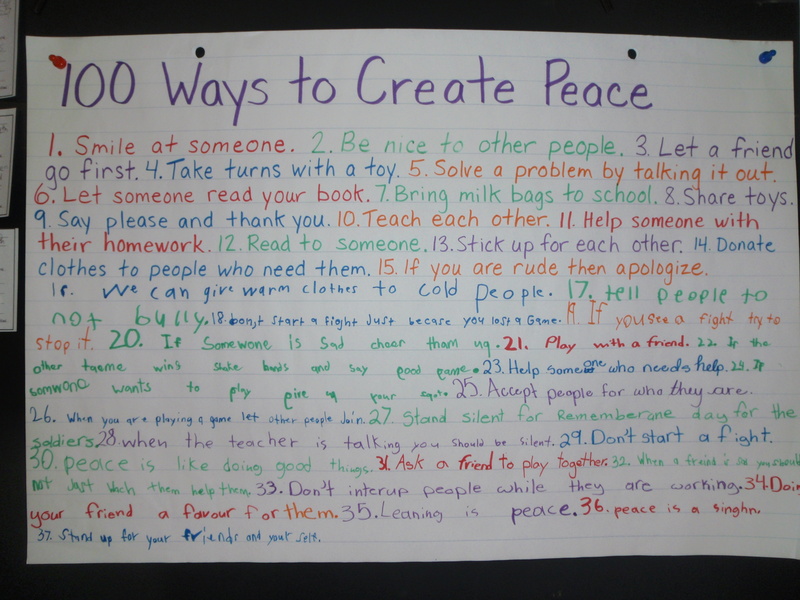 How many ways can you think of to create peace? Do you have a great idea that is missing from our list? Please include your ideas in a comment so we can add them. No idea is too small…a little peace goes a long way. . This entry was posted in Character, Literacy by Ms. Duemm. Bookmark the permalink.